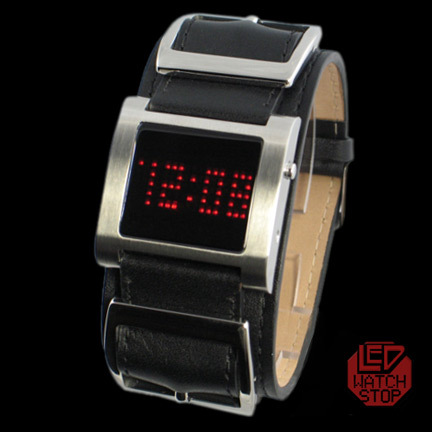 Part of the REFLECTION series...a very cool tv shaped led watch with superwide biker style leather band and extra buckles. 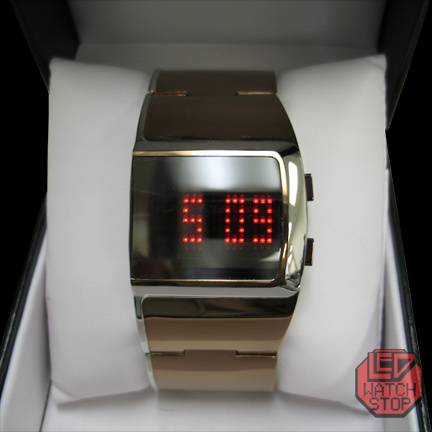 Featuring hi grade stainless steel case with a polarized mirror, mineralite lens. This funky LED timepiece is guaranteed to draw attention and questions wherever you go!